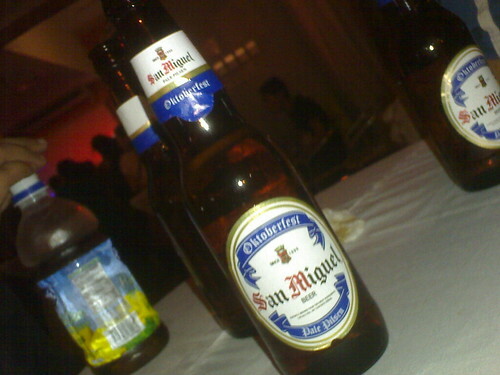 Before October ends, Ijust want to share my San Miguel Octoberfest experience at taste Asia! They gave us a taste of this limited edition, for-Octoberfest-purposes-only beer which will be sold in selected partners only until December 2008! Have you experienced the San Miguel Octoberfest beer yet? Â I’m not really a beer person but this one is surely one bottle you shouldn’t miss! I would like to thank Ms Aileen Apolo for making this event possible for bloggers. 😀 ayon meron ka nang avatar!!! rock n roll!! !